As an economist, I know that many Americans are struggling financially. There are unreal societal expectations for financial success. When those aren’t achieved, we may feel personally flawed or cheated by the rigged economy. Too many youth feel shame and anger that they are not succeeding in the American Dream. Despite these challenges, there are opportunities, and the youth know it is not business-as-usual any more! How do we find a quality of satisfaction that can’t come from chasing someone else’s manufactured dreams? Many women are prospering through purpose-driven leadership. 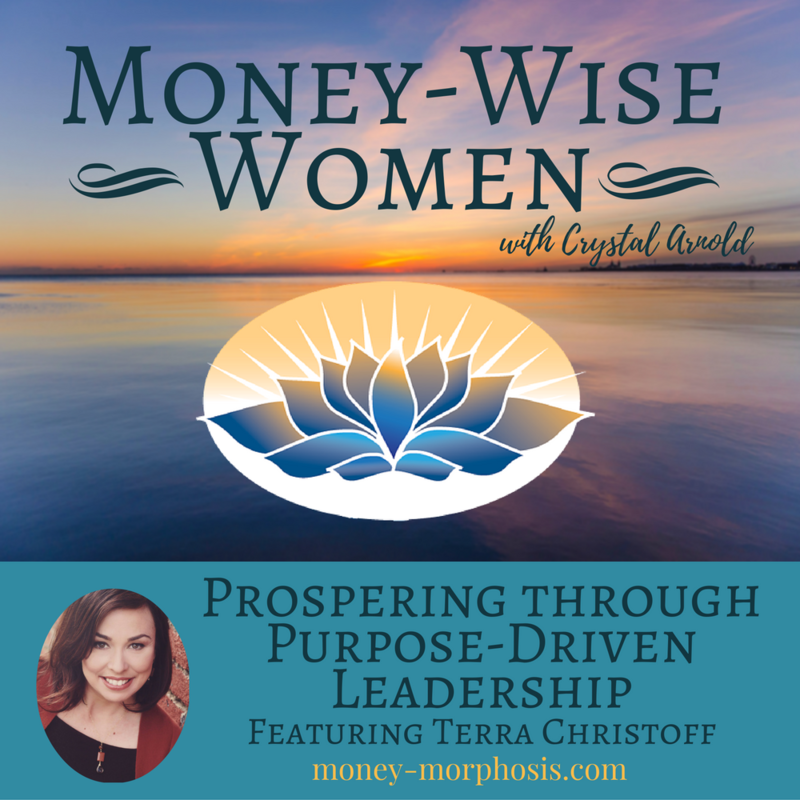 Listen to “Money-Wise Women” guest Terra Christoff’s insights on how to engage in the changing economy. We explore the unique opportunities and challenges of women and Millennials in particular. How consciously do we participate in our transformation? Both personally and collectively, how we engage in change influences the outcome. We discuss the biggest obstacles women have when making a career change or starting a business. Terra guides women to find their “big why,” which includes purpose, vision, and mission. She sees so many women not owning their brilliance, smothering it with self-doubt. In her recent article, Terra asks how does ambivalence about visibility impact our finances and work life? “Now is a time for women to be visible and own our gifts and strengths.” Terra encourages us to be bold and share our brilliance. Because our contributions to the world can create a legacy of true wealth for generations to come.